Feta, Greece’s ‘white gold’, is one of the country’s most important exports and perhaps the food most associated with Greece in the world. Its roots go back thousands of years to earliest antiquity. A white cheese, aged in brine, it ranges in texture from soft to semi-hard, and may be solid or perforated with tiny holes, always without skin. Its flavor, which differs slightly depending on where it comes from, ranges from mild and ‘sweetish’ to tangy and rich, filling the mouth, while its aroma may contain traces of herbs and wood, as well as butter, milk and salinity. It is produced in many parts of Greece, where it is ripened and preserved in wooden barrels or large tins. And according to the National Dairy Organization, it accounts for 50% of Greek cheese products. In searching for the origins of feta in ancient Greece, we come first to references in the Odyssey – in the famous episode when Odysseus encounters the Cyclops Polyphemus and his sheepfold. Polyphemus is certainly the first figure in literature we see making feta and cheese in general, though archaeological finds are even older than this legend from the 8th century BC. In any case, Homer describes him carrying milk from his ewes in buckets made from sheep’s stomachs and noticing, to his astonishment, that after a few days the milk thickens and becomes firm, edible and easily stored. According to early Greek mythology, the art of cheese making was bestowed on mortals by the gods of Olympus. The ancient Greeks believed that milk was a sacred food, because the baby Zeus was raised on it. In order to conceal the infant god from his father Kronos, his mother Rea hid him and he was nursed instead by the goat Amaltheia (from whence the horn of plenty). Zeus, in turn, when he fulfilled the prophecy his father feared and actually killed Kronos to become the ruler of gods and men, then arranged for his own son, Herakles, to be fed with divine milk so as to become immortal. This he did by causing the heavens to be flooded with milk, thus creating the Milky Way and its innumerable galaxies (from ‘gala’ the Greek word for milk). It is believed that in Byzantium the cheese was called ‘prosfatos’ (or fresh) but its present name derives in fact from the Italian ‘fetta’ (slice), which in turn evolved from the Latin ‘offa>offetta’ or mouthful/bite/ and comes from a 17th-century reference to the cheese being cut in slices (feta) before it was placed in barrels to age. For centuries Feta was known only in the Greek-speaking world and the Ottoman empire, generally. During the 20th century, the mass emigration of Greeks to Germany, the USA, Canada and Australia, as well as the ever-increasing flow of tourists to Greece, contributed to its becoming known and sought-after the world over. The basic characteristic of feta is that it is made with the milk of ewes, which is sometimes mixed with that of goats’ but never with cows’. Greece has a long tradition in raising these animals, and this pastoral heritage has left its stamp on the culture in both physical and intangible ways. 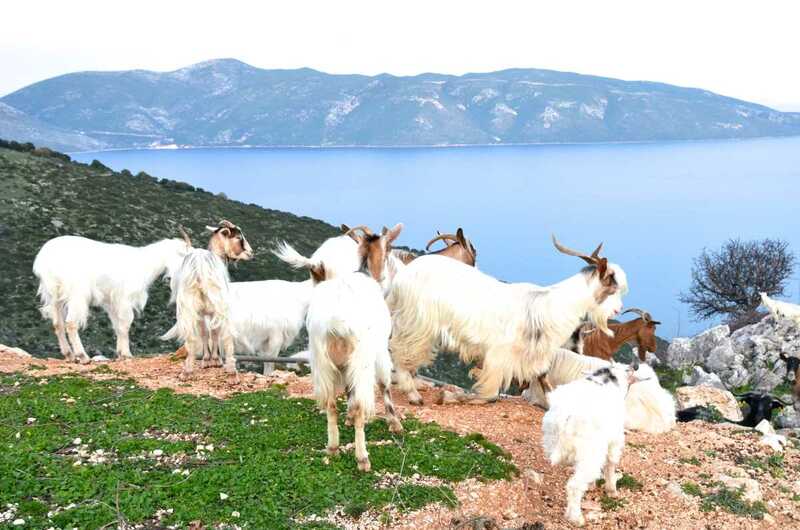 The regions with the most developed animal husbandry sectors are, since time immemorial, Epirus, Thessaly and Crete (although, unfortunately the feta produced in Crete does not have a PDO designation and is simply called ‘white cheese). In Thessaly and Epirus, the herdsmen and shepherds used to travel most of the year to graze their flocks and to sell their meat and milk, a fact which defined the structure of society in those regions as well as the economy, their institutions and their customs. While the Sarakatsans (nomads) focused almost entirely on animal husbandry, the Vlachs occupied themselves more with its products, wool, woolen goods and cheese, which resulted in their developing considerable expertise as tradesmen. In this country, the raising of sheep and goats is still conducted along traditional lines with rather modest returns. It’s well known that the quality of dairy products depends on the quality of the animals’ diet. The huge diversity of the Greek flora contributes enormously to the rich taste and high quality of its milk and meat. A lamb raised in England, for example, will not have the same taste and nutritional components as its counterpart in Crete, since the United Kingdom possesses only six endemic herbs, while Crete can boast more than 160 species. 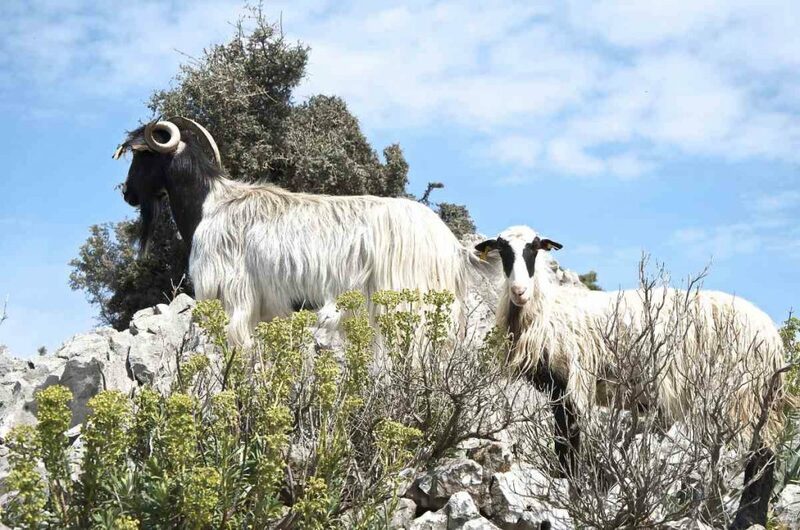 The most important Greek breeds of sheep and goats are those of Zakynthos, with its white, big-boned sheep; Argos, whose large white sheep with black heads can be seen all over the lowlands of the Peloponnese; the karaguiniko sheep, the most common breed in the country numbering about 250,000; the large, white sheep with black spots of Chios which is also raised in Halkidiki; the sheep of Lesvos, which come in a variety of colours and may be found in Macedonia and Central Greece as well as on the island; the Sfakian sheep of Crete, which is well suited to rocky and mountainous terrain. 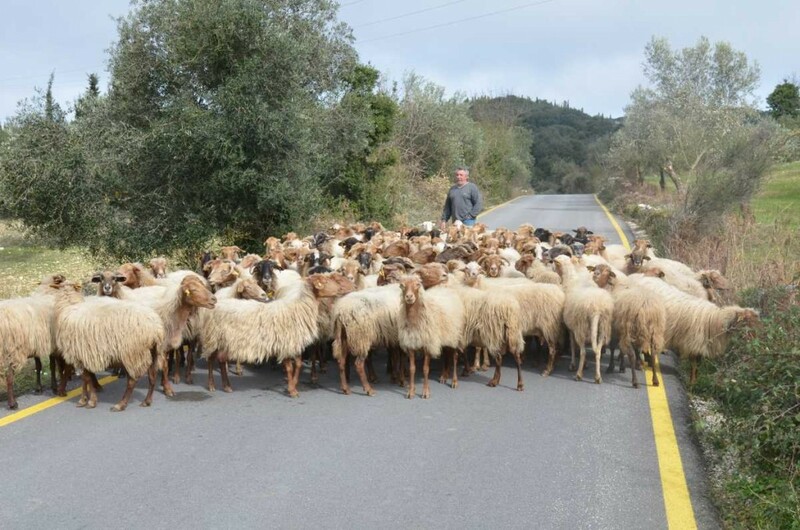 Other breeds include the Boutsiko, Yanniotiko, the sheep of Gavdos, the ‘raska’ of Ikaria and the little sheep and goats of Elassona. The ewes’ and goats’ milk is collected by their owners in special cauldrons that have a cooling mechanism. When it is delivered to the cheese plant by refrigerated trucks, the milk is inspected and passed through filters. Then it is poured into boiler-cauldrons, stirred and heated for pasteurization purposes or placed in a special pasteurizer. 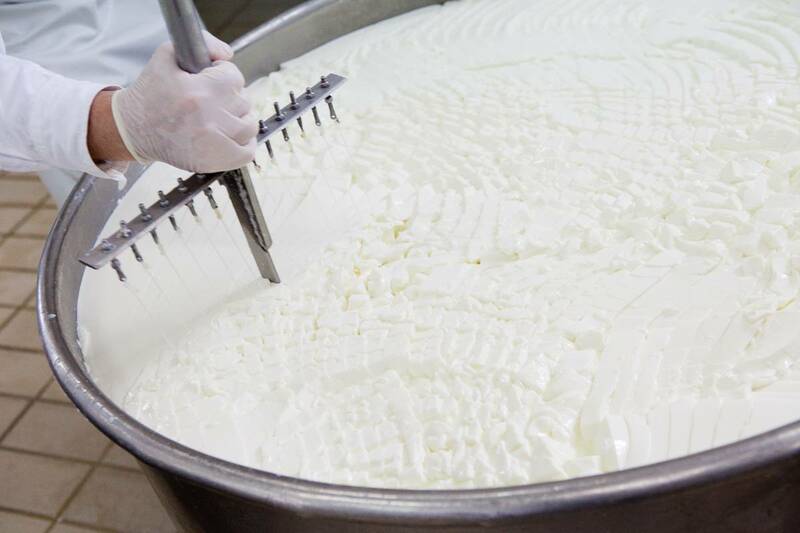 After pasteurization, it is cooled and then placed in special cauldrons, thickeners, where cultures of microorganisms and rennet are added to thicken the milk. After about 20 minutes, the milk becomes solid enough to be ‘cut’ by the cheesemaker with special knives. 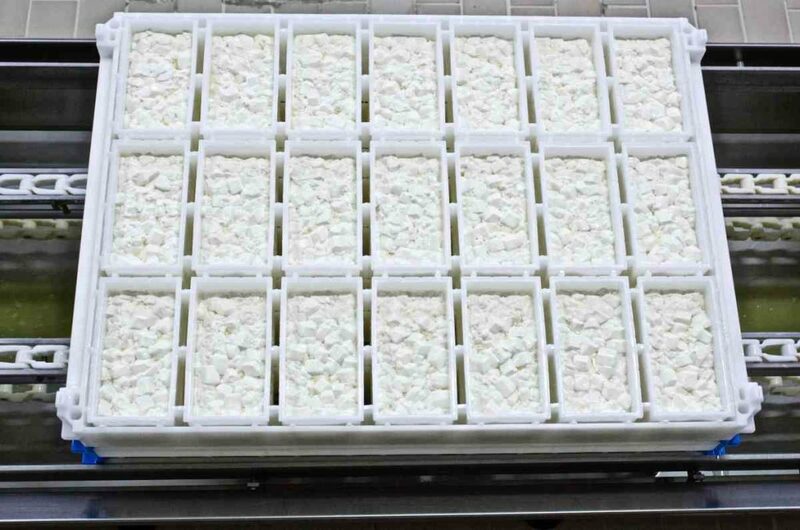 At this point a quantity of ‘cheese milk’ or whey is released and the curds are put into moulds where they are left to drain naturally. 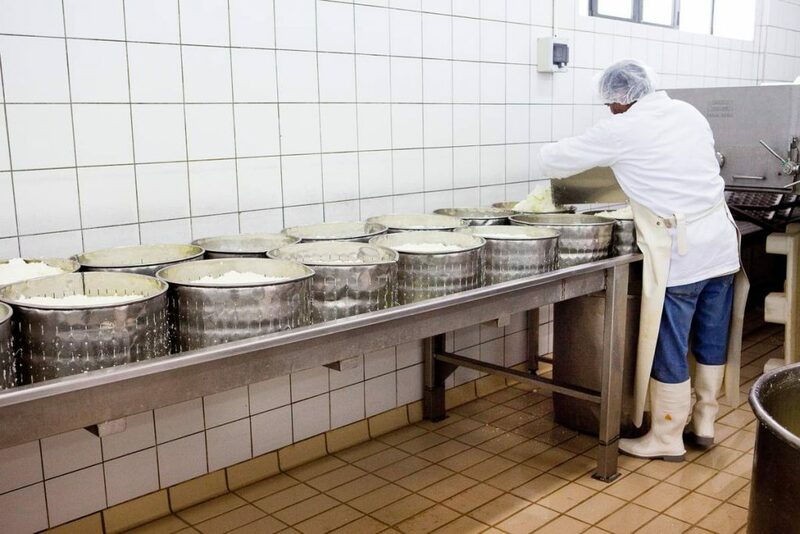 During this natural draining process and when the curds have stabilized, coarse salt is sprinkled on the surface and the cheese is placed in wooden barrels or metal tins to which brine is added. According to law, feta must be allowed to ripen for at least two months. The maturation occurs in two phases, the first lasting up to 15 days and the second completing the two months. The first phase of ripening takes place in special spaces at a temperature of up to 18ºC, while afterwards the feta is transferred to an area with a stable temperature of 2-4ºC. The relative humidity in both stages of maturation must be maintained at 85% at least. During production, no preservatives or artificial colouring are permitted. Barrel-aged feta becomes both sharper in taste and harder than feta aged in tins. The cheese interacts with the wood to acquire those characteristics. 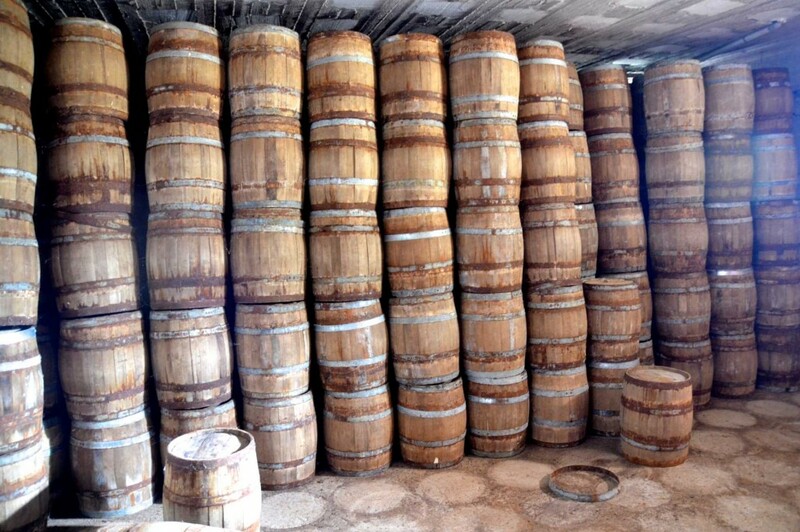 Particular attention must be made to the cleaning and disinfecting of the wooden barrels, owing to the hospitable environment wood presents for various microorganisms, some of which can be harmful. The Peloponnese, Central Greece and the mountains of Thessaly are the areas most associated with barrel-aged feta. Tin-aged feta has a milder taste, a gentler aroma and often a softer texture. It is considered a more refined product and is preferred, for the most part, for export abroad. But feta aged up to six months or even a year is a revelation of nuanced flavours. It must have been prepared from good quality ewes’ milk or a mixture of ewes’ with goats’ (up to 30% goats’ is permitted). The milk must have come from local breeds of sheep and goats that are traditionally raised and allowed to graze in local pastures. The production of the milk and cheese, as well as its ripening, must take place in Thrace, Macedonia, Thessaly, Epirus, Central Greece, the Peloponnese and the prefecture of Lesvos. The milk must not contain any additives, e.g. powdered milk or milk protein, thickeners, caseins, or preservatives. The minimum fat content must be 43%, the greatest moisture 56%. It must be aged at least two months in wooden barrels or in tin containers. Feta is a cheese product that has undergone galactic fermentation and has a great ability to ‘defend itself’. This is owing to its high acidity which makes it a safe and tasty food. Feta ripens in brine for two months (or more). From the moment that it is removed from the brine, feta loses some of its wetness and becomes more solid. Feta is white in colour and is usually stored in large square pieces. Its consistency varies from quite hard (the longer it is aged, the harder it becomes) to very soft and crumbly, and the harder the cheese, the sharper the taste. The taste of the cheese also varies depending on where it comes from, and this is because the flocks feed on different types of flora, since they graze freely in the countryside.. When buying feta, the consumer must make sure they’re getting the real thing, either by examining the labels on the packaging or by purchasing from a reliable supplier. Watch out for the addition of cows’ milk, powders and vegetable fats, and for the presence of substances to enhance flavour or colour. From the nutritional point of view, feta is an excellent and easily digestible food with valuable constituents such as calcium, phosphorus, Vitamin A and Vitamin B12 as well as valuable proteins. 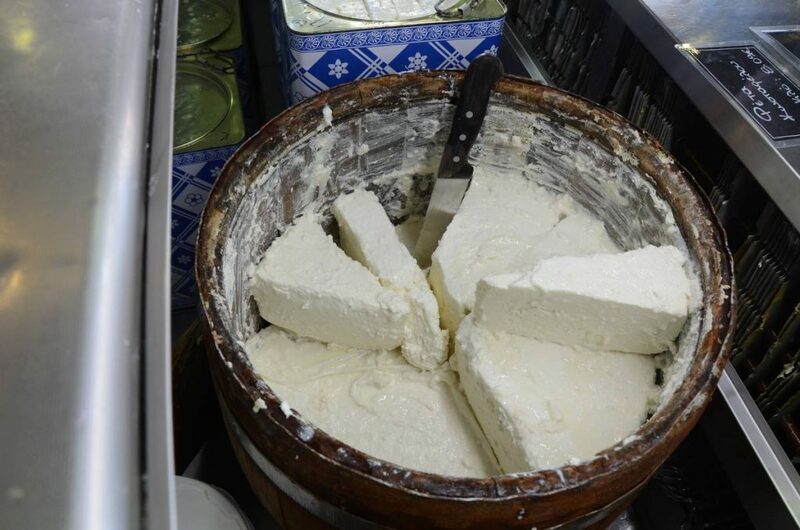 The name ‘feta’ as PDO (Protected Designation of Origin) cannot be used for similar cheeses that are produced outside the regions mentioned above, much less anywhere outside Greece and prepared by any method other than the traditional. The inclusion of feta in the catalogue of PDO products provoked many bitter reactions from other countries within the European Union which until then were producing large quantities of white brine-aged cheeses, like Denmark, France and Germany. The litigation by these countries had begun in the 1980s and culiminated in February 1994, when the Greek file nominating feta as a candidate was submitted to the EU. 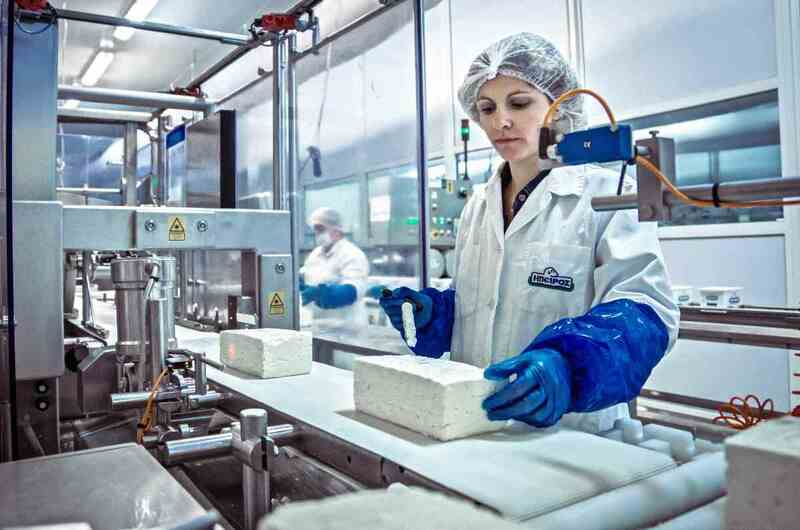 After a twenty-year struggle, the European Court passed down its decision on October 25, 2005, to the European Commission that feta should be entered in the Community Register as a Greek PDO cheese. But once the war within the EU had finally been won, a new front opened with the so-called third countries, particularly the United States and Canada. There the problems are complex and difficult – the EU has no jurisdiction – because enormous economic interests are involved, given that the demand for ‘feta-type cheese’ (a description with the European Court ruled illegal) at the global level surpasses 500,000 tonnes (150,000 of which in the EU, and the rest in the US, Canada, Australia, Russia and Ukraine). After the approval by the European Parliament of a free trade agreement between the EU and Canada, known as CETA, a Canadian firm which had begun before 2013 to produce a cheese they called ‘feta’ may continue to call it that for the Canadian market but not for export to Europe. 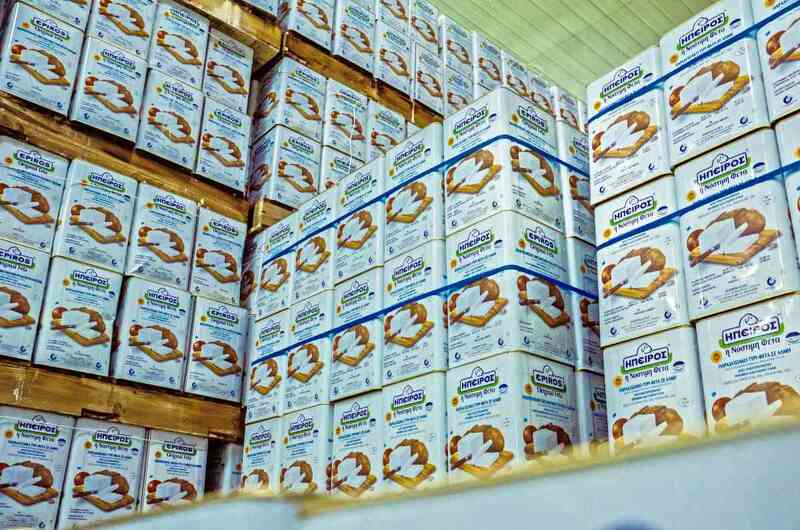 Naturally, the Greek companies which produce genuine feta are able to export to Canada. 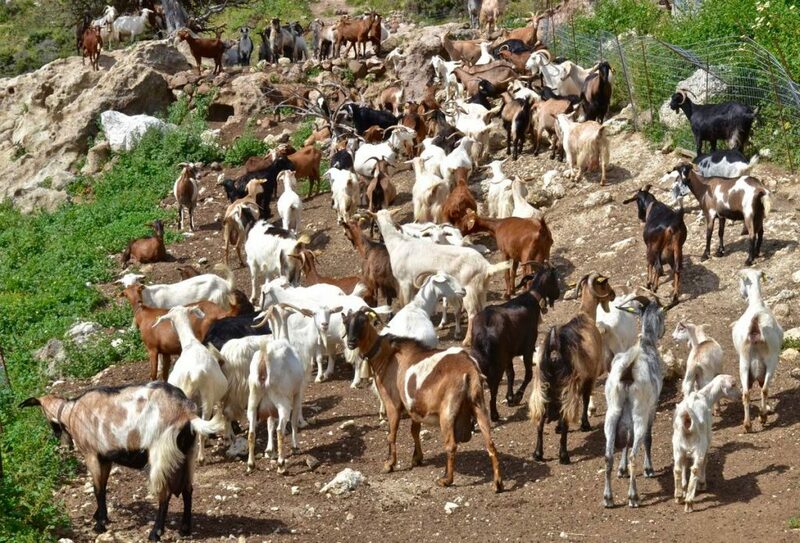 The annual production of Greek feta is about 120,000 tonnes (from some 1,100,000 tonnes of domestic ewes’ and goats’ milk). Of this total, about 40,000 tonnes of cheese are exported, representing revenues of more 200,000,000 Euros. The production of feta, apart from cheese plants, provides employment to more than 300,000 people in 100,000 family-style animal breeding operations and another 50,000 farmers who supply complementary feeds to flocks. 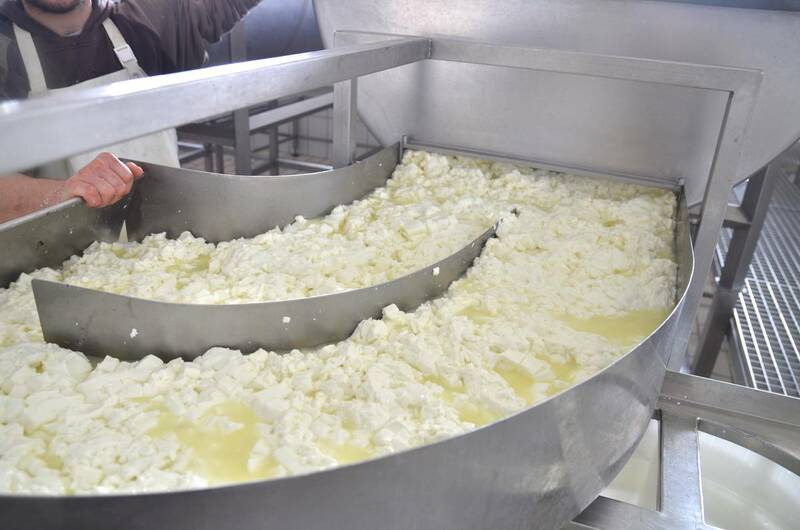 In Greece there are about 600 recognized cheese plants that are licensed to produce feta. The great names in standardized feta production are (in alphbetical order): Dodoni, Epiros, Kolios, MEVGAL and Minerva. A substantial portion of the production of feta, however, comes from smaller cheese plants scattered all over Greece, which supply supermarket chains and are sold under their private label. Other producers have chosen to use their own brand name. Among these are Arvaniti in Thessaloniki; Roussos at Almyro, Magnesia; Elatos at Schinohori, Argos; Arkadia in Arkadia; Christaki in Edessa; Exarchos, Biziosand Vigla Olympou from Elassona; Pieria Farm; Karalis in Epirus; Delphi from Mesolongi; and Kostarelos in Attica, while among the feta produced by cooperatives, that of Kalavryta stands out. 1. Look for feta with the initials PDO, Protected Designation of Origin, alongside the name. 2. The colour of feta should be as white as a blank sheet of paper. 3. Its texture should be firm when sliced, and unless it is of the very soft type, it should not crumble and have just a few cracks and none to very few holes. 4. When eaten, it should almost melt in the mouth, leaving a characteristic pleasant, slightly sour taste. 5. It should have a rich aroma. 6. At the sales point, the cheese should be kept in a refrigerated display case at a temperature of 2-6 C.
7. Be wary of any feta sold at less than the average market price. Remember that price is an indicator of quality when applied to food. 8. When buying packaged feta, make sure that it is properly sealed. 9. Like all cheeses, the quality of packaged feta does not improve once opened so it should be consumed within 4-5 days, even though refrigerated. For this reason, it’s preferable to purchase smaller quantities more often so that you’ll always have it on hand. 10. 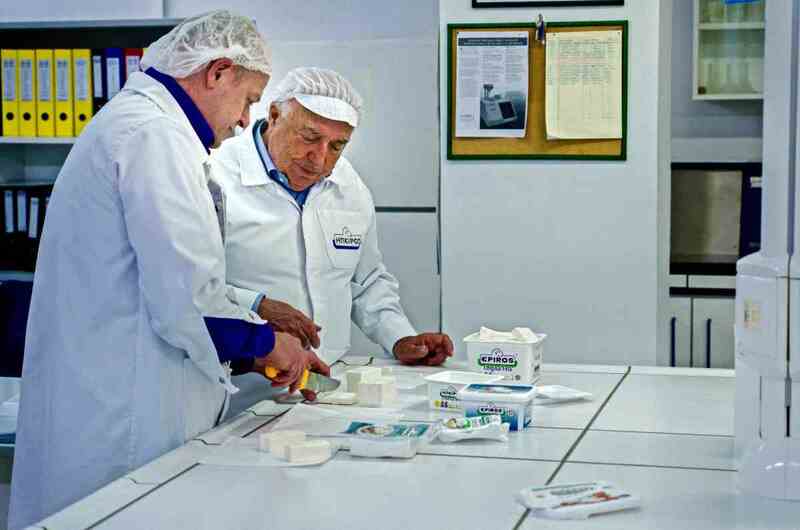 Always look for feta, with the name and contact details of its producer, since this is the only guarantee of quality control. 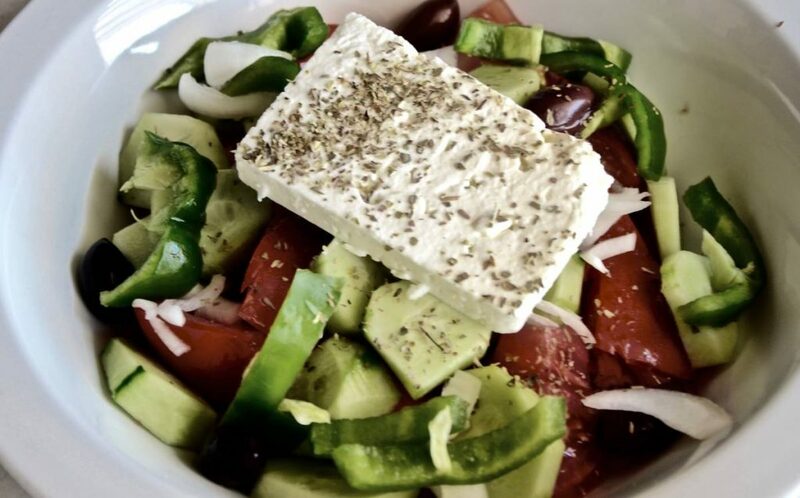 Feta is widely known throughout the world as the key ingredient in the famous ‘horiatiki’ Greek salad. Apart from this refreshing summer salad, it is also the chief ingredient in most cheese pies, and is often added to spinach pies as well as a host of other dishes in the Greek repertoire. A component of the Mediterranean Diet, it is the best loved cheese in Greece, where per capita consumption amounts to 10 kilos per year! And many of the tourists who encounter feta here look for it in their own countries when they return after a holiday. It is not by chance that feta is among the top three agricultural products that this country exports. Drizzled with olive oil, and sprinkled with oregano on its own or on fresh country bread or toast. Baked in the oven with olive oil, pepper and oregano. In the classic Greek village salad, feta plays the leading role, with supporting parts filled by the tomato, cucumber, onion, olives, oregano, olive oil, and sometimes green peppers and capers. 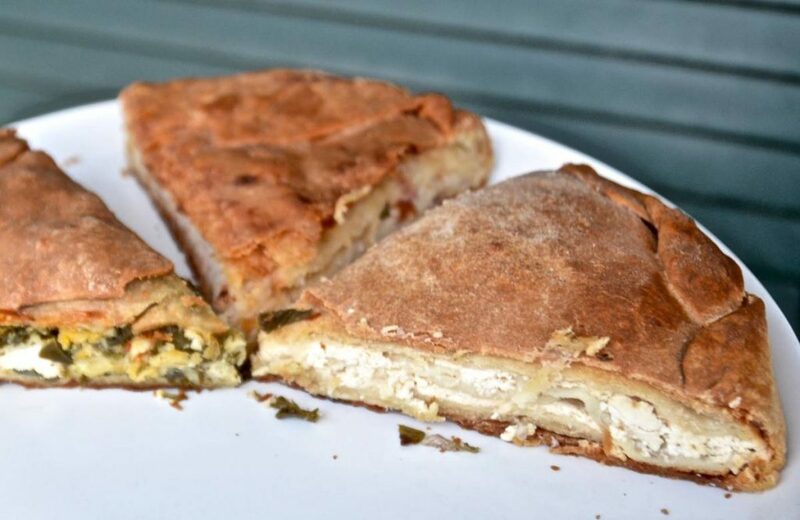 The famous and popular Greek cheese pie (‘tyropita’) has won its admirers, largely because of the feta enclosed by the crispy fyllo, while feta is often added to spinach and other kinds of pies. Creamed or beaten, feta is transformed into delicious dips with the addition of a little oil and oregano or, even chilli peppers, in the case of ‘tyrokafteri’ (‘hot’ cheese). Summer vegetables (green beans, okra, peas, aubergines, courgettes) stewed in oil with tomatoes, the luscious, so-called ‘ladera’ dishes, are among the most characteristic of Greek flavours and are often served with feta since the two go together so well; the slightly sour cheese cuts the mellow, slightly sweet tomato sauce. Feta also marries well with stuffed tomatoes and aubergines with onions and oil (‘imam baildi’). Feta is used in recipes for various types of scrambled eggs and omelettes, along with tomatoes and herbs. Feta’s flirtation with the tomato reaches perfection when the two are combined with shrimps in a pan-fried dish called ‘saganaki’. 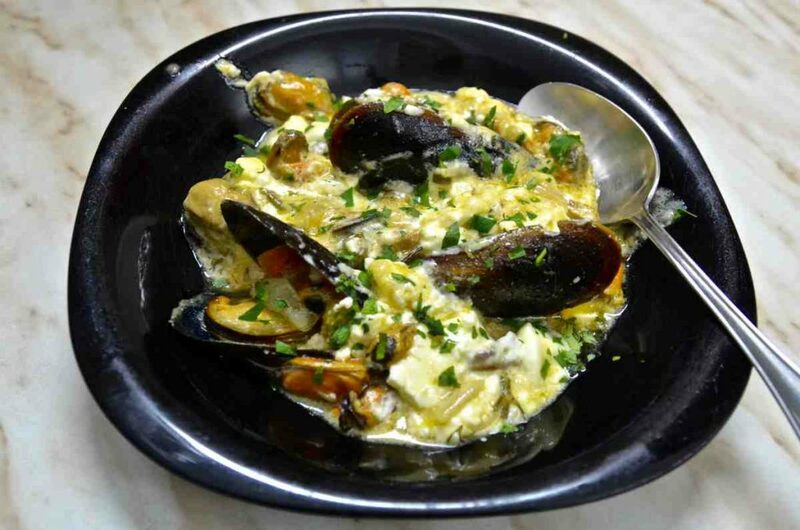 But feta and mussels ‘saganaki’ to which a little wine or ouzo has been added is also sublime. Then there’s stuffed calamari, and stuffed courgette flowers, where feta is mixed with rice. Finally, to end the meal, try feta served as a dessert with chunks of chilled melon or watermelon, and every time you eat it you’ll have a vivid memory of a Greek summer. Feta is the undisputed queen of cheese for Greeks the world over. A traditional product, it is loved and embraced by every new generation, thus preserving its timeless quality. It is also an unmistakably Greek product, whose roots are buried in the depths of time. 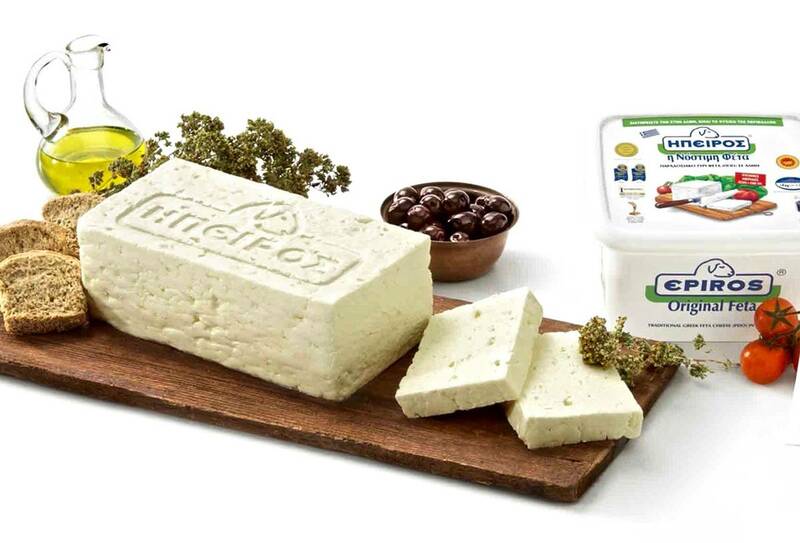 Since its inclusion among the EU list of PDO (Protected Designation of Origin) products, Greek feta has enjoyed relative protection within the Community. However, the companies that produce imitation cheeses in Germany, Denmark, France etc, use various tricks to confuse the consumer. The most common is to display Greek symbols, such as column capitals, kilted Evzones and windmills, on their packaging, or to use Greek words in their brandnames. 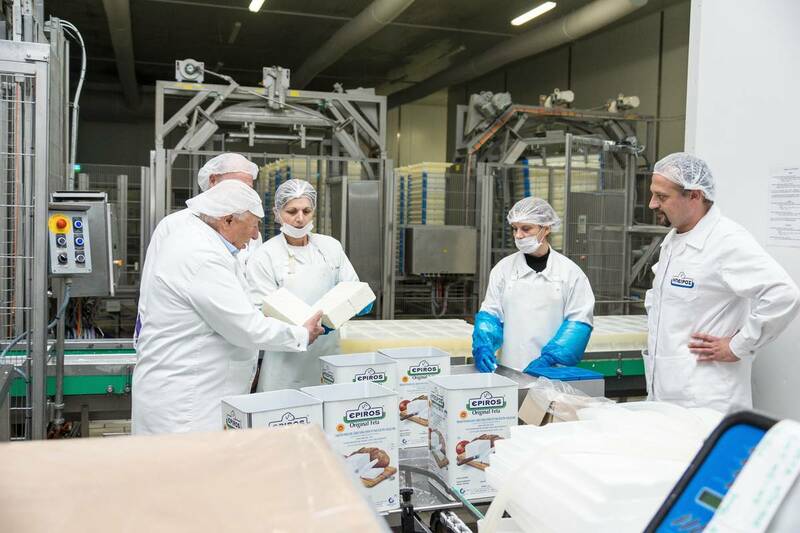 What many consumers do not realize – especially abroad –is that the PDO designation ensures the strict adherence to certain rules that protect the quality of the cheese and the safety of the consumer. Despite these challenges, genuine Greek feta remains the country’s dominant exportable commodity. Altogether, the rest of the world, excluding Greece, produces an enormous amount of white cheese they would like to call ‘feta’. 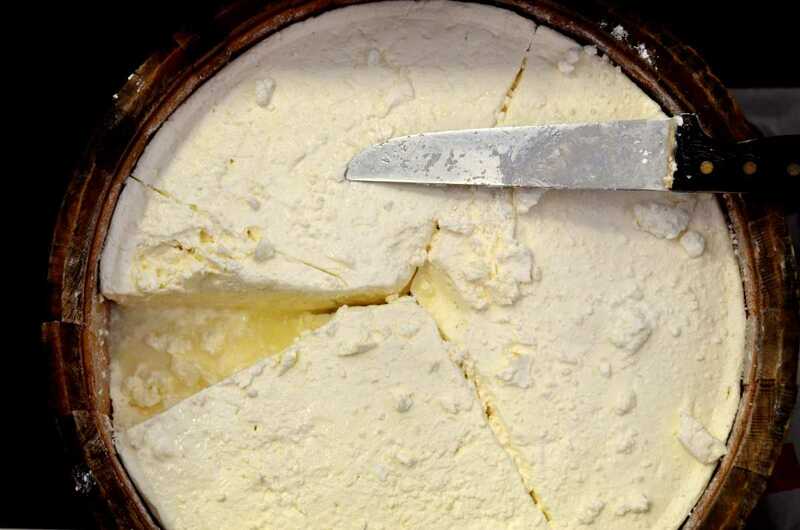 Greece accounts for roughly 25% of global production of feta and feta-type cheese. Greek feta is recognized, however, as the best in the world. 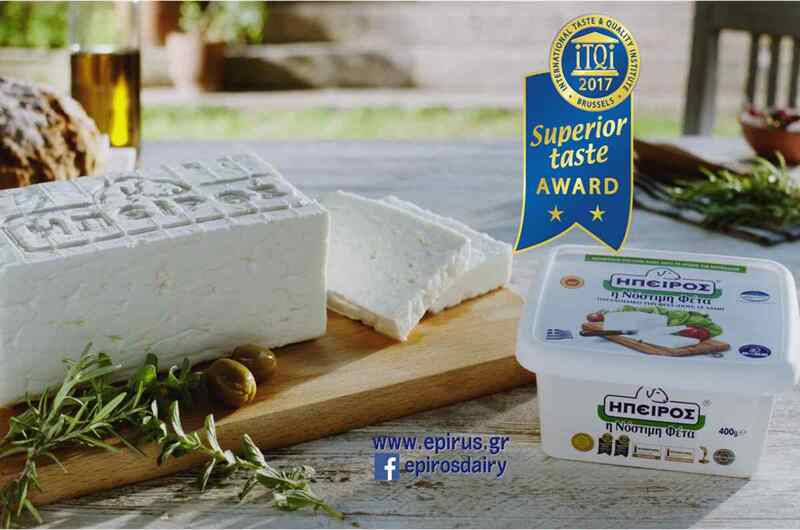 We at Epiros try to remain faithful to our vision, which is to be the best cheese producers in Greece and to have our products recognized by consumers the world over as the most flavourful, highest quality and safest Greek cheeses. We combine tradition and the values of our region with state-of-the-art technology and innovation. Consumers today have different needs and priorities than they did ten or twenty years ago. 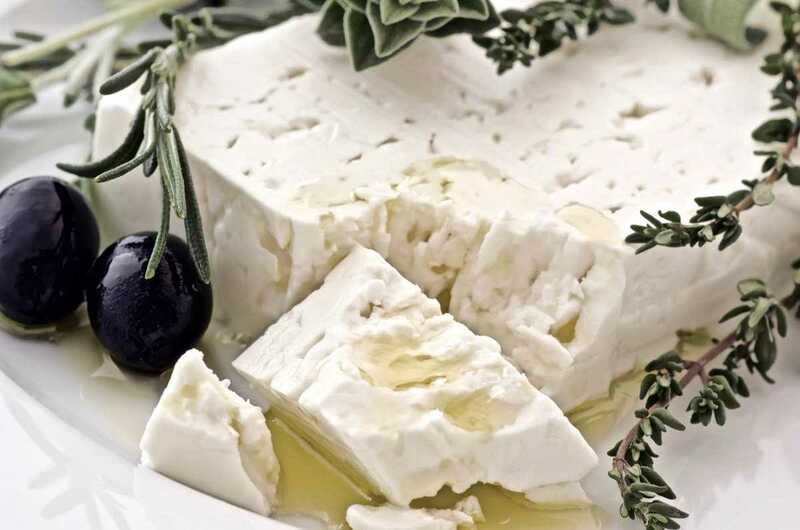 For this reason we have developed products such as Epiros Light, with reduced fat, Feta Epiros with 40% less salt, to comply with contemporary nutritional guidelines, but also Epiros Soft or Epiros Goat Cheese to satisfy the most discerning tastes. Producing feta is a complex operation which, if you want to do it properly, demands scientific and technical know how, tremendous patience, a constant desire to improve and a huge amount of love and care. The team at Epiros possesses all these attributes as the results demonstrate. Holding first place in the field of packaged cheeses in Greece and second in loose cheeses (sold to supermarkets in bulk), with continuously increasing exports and now available in 25 countries round the globe, Epiros is a sound company that has managed, despite the crisis, to grow. We have not ceased, even during these last difficult years, to invest in our people, in machines and systems that will ensure the safety of our milk and our final products. Our results justify our efforts, since every year we break the previous year’s records and we win awards and distinctions at international and national tasting competitions. 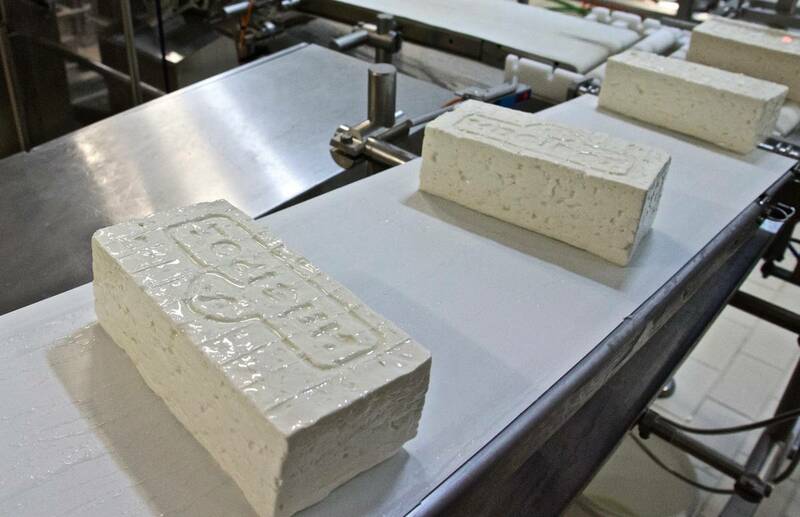 To date Epiros feta has won 16 such distinctions, more than any other feta. 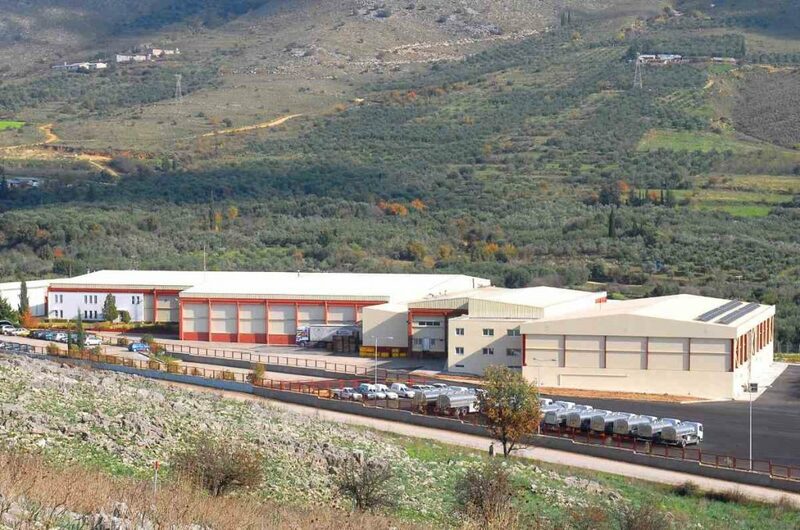 At the same time, Epiros is investing in the creation of an ultramodern model farm, which when fully developed will have some two thousand milk-producing ewes. Our goal is not to make all the milk we need ourselves, since this farm – already large for Greece – will cover less than 3% of our needs. Instead the farm will be used as a teaching centre for the livestock breeders of Epirus, as well as for the planning of improved practices of hygiene and nutrition in caring for the animals. In this way Epiros will be making a substantial contribution to livestock breeding in the whole of the country.